The defending state champions from Boiling Springs won the Region III championship. The team included Coach Josh Pruitt and Assistant Coach Zack Bridges, Harrison Corbin, Trent Phillips, Graham Corbin, Josh Sprouse, Cole Hair and Zach Phillips. It seems like we have seen this movie before. 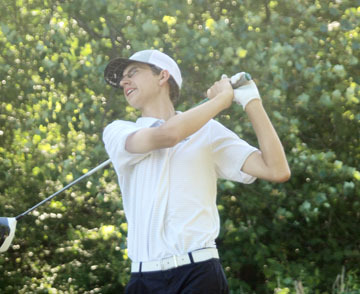 The Boiling Springs Bulldogs and their leading golfer Trent Phillips fall behind in the first round and then both come roaring back in the final round to win another tournament. 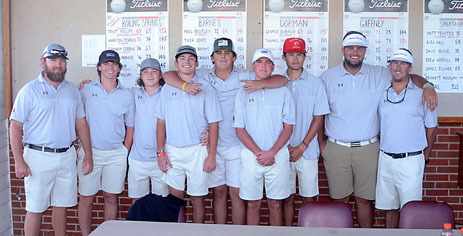 The Bulldogs took the first step towards a fourth straight state championship with a convincing win in the Region III AAAAA tournament at Cherokee National Golf Club in Gaffney. 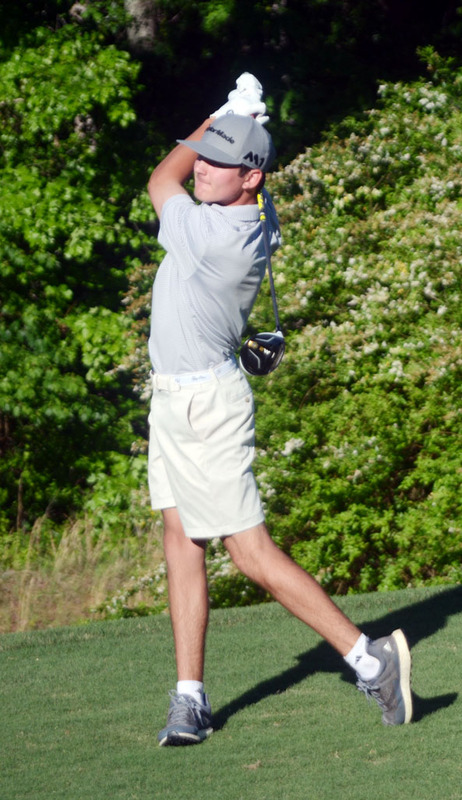 Gaffney’s Seth Taylor shot a 6-under 66 to hold the first round lead at the Region III tournament. Gaffney, playing on their home course shot a team score of 285 in the first round to hold a three shot lead over Boiling Springs. The Indians were led by Seth Taylor who carded a 6-under par 66. The outstanding first round also gave Taylor the individual lead going into the second 18 holes of the tournament. Trent Phillips shot a second round 9-under par 63 to win the Region individual championship. In the afternoon round Phillips was on fire. 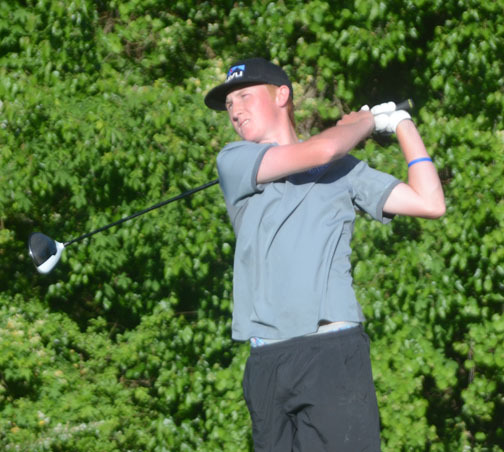 The Boiling Springs junior shot a 69 in the first round, but played much better in the second round. Phillips shot a 9-under par 63 to move into the lead and win the Region championship by three shots..
“I had nine birdies with a three-putt. 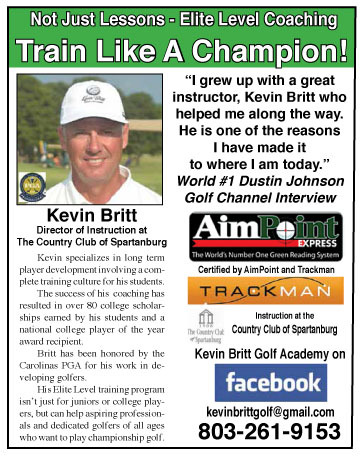 It could have been even better,” said the two-time South Carolina AAAA individual champion. “I did make a few putts I didn’t expect to make, but most of them were close to the hole,” said Phillips. George Eubank of Dorman shot rounds of 69 and 66 for a 145 total and second place. While the 63 was the best round of the tournament George Eubank, Jr. of Dorman matched Phillips in the first round with a 3-under 69 and posted the second best round of the regional with a 6-under 66 in the second round for second place. Phillips low round might have been good enough to move past Gaffney to take the Region title, but he got help from a couple of his teammates. Graham Corbin shot a 5-under par 67 and Cole Hair chipped in with a 1-under par 71. The Bulldogs shot a 274 second round for a 562 total and a 13 shot victory over Gaffney. Dorman finished third and Byrnes was fourth. All four teams, and the low individual Matt Teaster of Spartanburg, all advance to next Monday’s AAAAA Upper State championship at Fox Run. 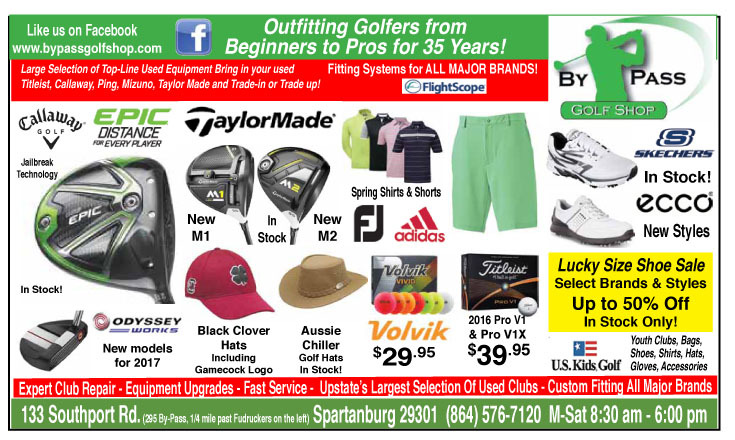 “It seems we almost have to get behind before we can win,” said Boiling Springs golf coach Josh Pruitt. 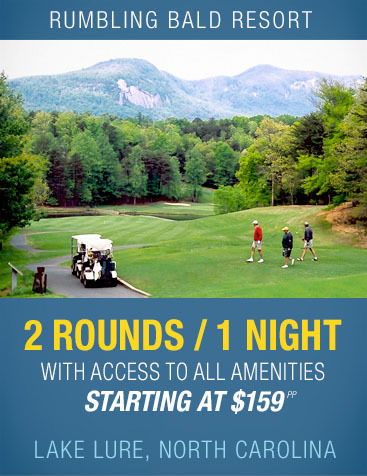 “I don’t know that I have seen a round that good from us. You expect great things from Trent, but the way everyone else played was terrific,” said the coach. Last month the Indians won the Spartanburg County High School championship at Woodfin Ridge, Boiling Springs home course. The win by the Bulldogs on the Indians home course continued the season long trend that has put Boiling Springs and Gaffney at the top of the AAAAA high school rankings. Trent Phillips and George Eubank led the All-Region team that included Gaffney’s Seth Taylor, Cody Transou and Zack Gordon, Reed Bentley from Byrnes and Graham Corbin, Harrison Corbin and Cole Hair.